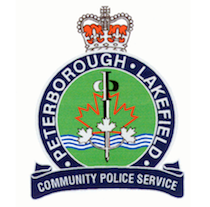 On October 7th, 2011 at 4:46 pm the Peterborough Fire Department requested police to attend a car fire in the No Frills parking lot at 230 George Street. Police located a 2000 Pontiac Montana Minivan that had extensive fire damage. Through investigation it was determined a 6 year old boy was left in the vehicle while his family went into the store. The 6 year old began playing with a lighter and set a paper bag on fire. The fire quickly spread to the interior of the vehicle and the boy exited the vehicle. Other patrons of No Frills observed the fire and called the fire department. The boy was transported to the hospital with minor burns to his left leg. Later in the evening for precautionary reasons, the boy was transferred to a Children’s Hospital in the Hamilton Area. No charges were laid. The Children’s Aid Society were contacted and continue to follow up on this incident.